Automation Devices provides vibratory parts feeding equipment. Standard components are manufactured in-house and maintained as inventory and then customized to individual needs. The ability to rely on inventory enables faster turnaround times than our competition and produces extremely consistent quality. 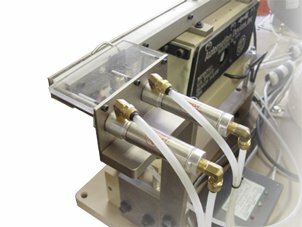 A parts feeding system usually consists of the all necessary feeding equipment to orient, feed and deliver a product including a vibratory feeder, hopper, sensors, a feeder stand and an escapement or parts nest. Generally, a vibratory drive unit, vibratory feeder bowl, amplitude controller and inline feeder and track are referred to as a vibratory parts feeder. A vibratory bowl is the bowl (tooled or untooled) that orients and feeds the parts when used with a vibratory drive unit. ADI services all parts feeders sent to our plant for repair, regardless of the manufacturer. A nominal fee is charged for evaluation and repairs are quoted prior to doing the work. We repair and ship base units within three working days; however, bowl tooling repairs may require more time. 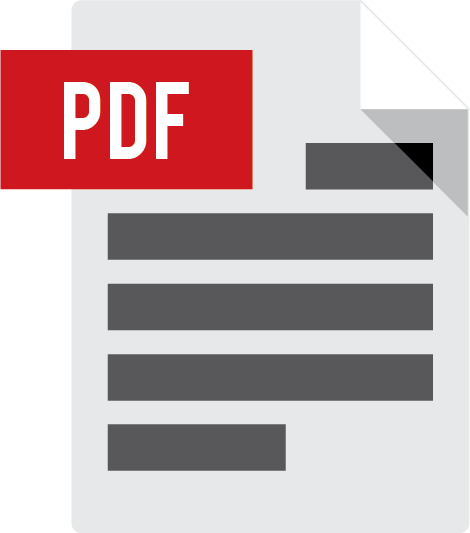 Often, customers are advised how to make simple tooling repairs and/or changes at their plant. 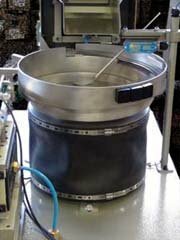 These vibratory feeders are typical feeding applications equipped with fully tooled cast aluminum bowls. 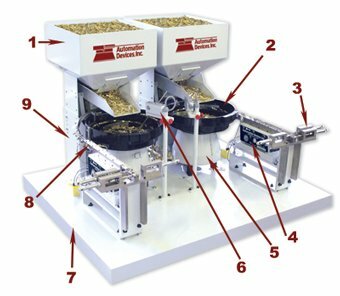 All major components of these stainless steel feeder bowl systems, from the controller to the escapement, are manufactured and engineered by Automation Devices. ADI helps customers that have applications where intrinsically safe systems are necessary to minimize the potential risk of spark ignition in a hazardous environment.